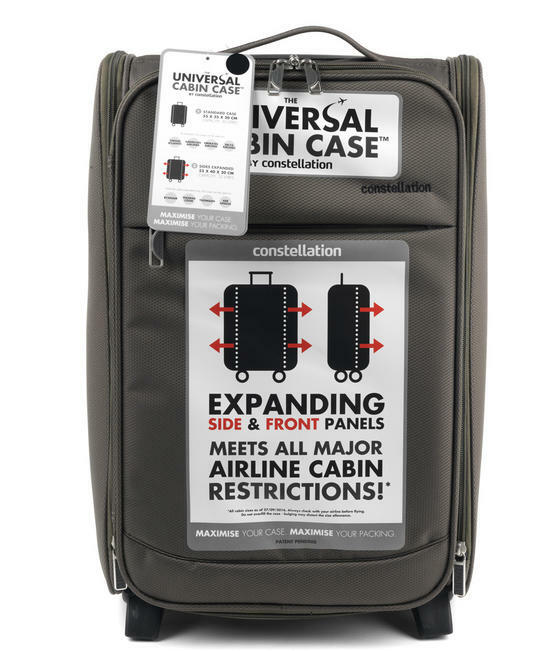 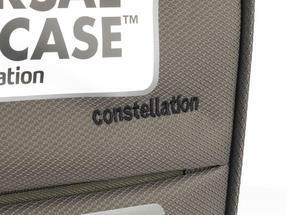 Featuring four adaptable case sizes in one convenient cabin suitcase, the Constellation Universal Cabin Case meets all major airline cabin restrictions so you can safely store it in the overhead locker while you travel. 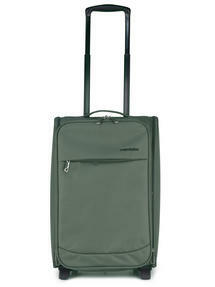 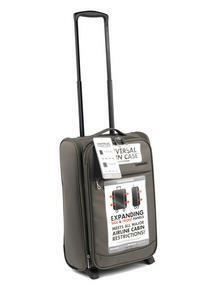 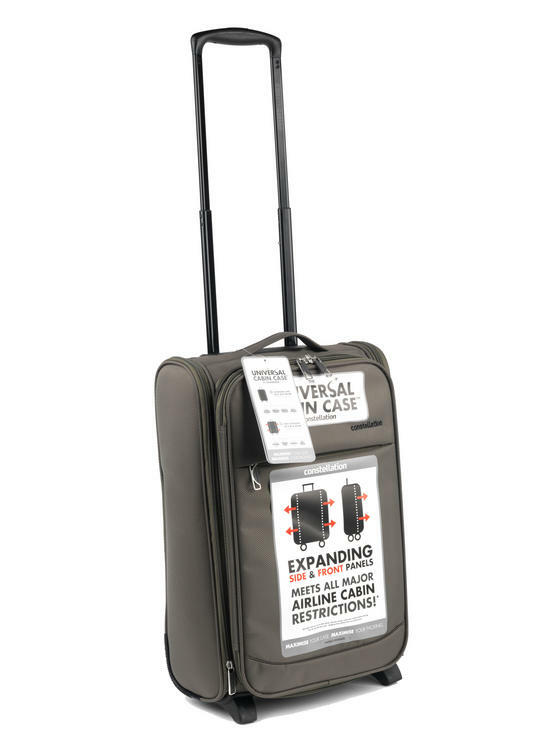 With a retractable top handle, two smoothly gliding wheels and brand new patent pending technology, the versatile case has expandable front and side panels which will enable you to gain more packing space while keeping within the size restrictions for each airline. 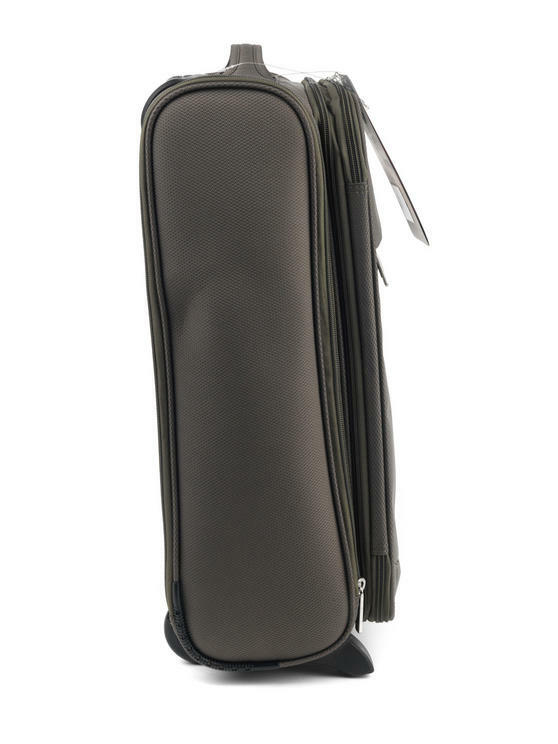 As standard, the case measures 55 x 35 x 20 cm with a 30 litre capacity which grows to 55 x 40 x 20 cm with a 32 litre capacity when the sides are expanded, 55 x 35 x 25 cm with a 35 litre capacity when the front is expanded, and 55 x 40 x 25 cm with a 37 litre capacity when the front and sides are expanded. 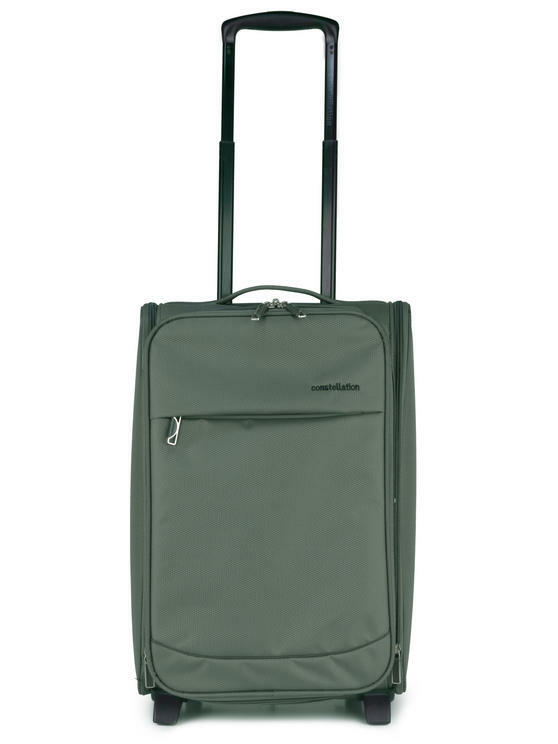 Providing security and peace of mind, it comes with a three year guarantee, weighs just 2.14 kg and includes a spacious front zip pocket which is great for keeping your passport, papers or wallet handy. 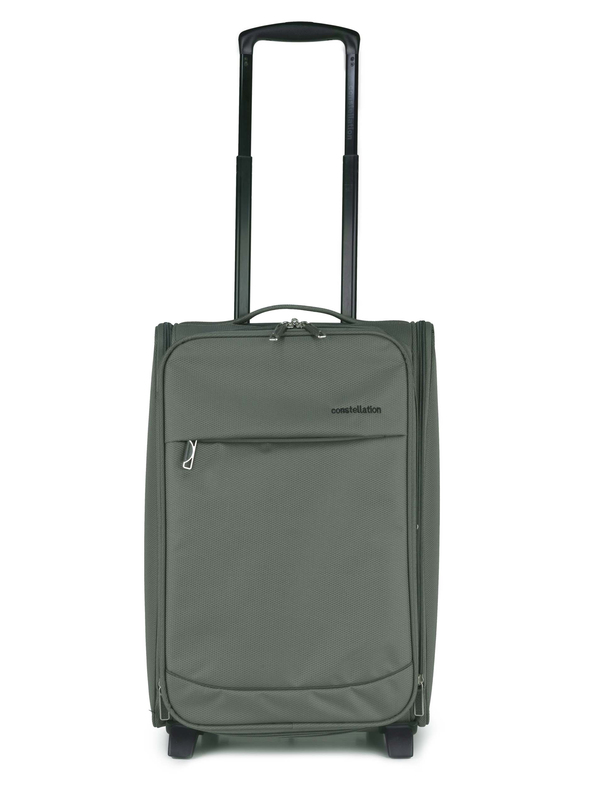 Practical and compact, the innovative design allows you to maximise your case, maximise your packing and ensures that whether it is for business or pleasure, you never have to travel without the essentials.